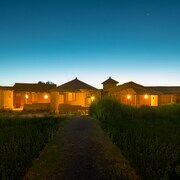 Situated in San Pedro de Atacama, this hotel is 4.1 mi (6.5 km) from Piedra del Coyote Overlook. 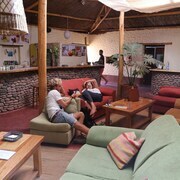 Situated in San Pedro de Atacama, this hotel is 2 mi (3.2 km) from Plaza de San Pedro de Atacama and 2 mi (3.2 km) from San Pedro Church. 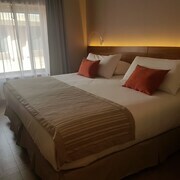 Walking distance to the city center. 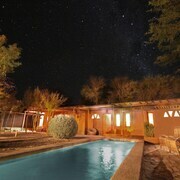 A bit expensive for a 3 stars hotel but fair if you consider its location at San Pedro de Atacama. 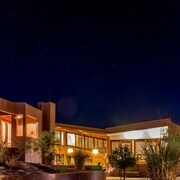 Which hotels are closest to the San Pedro de Atacama airport? 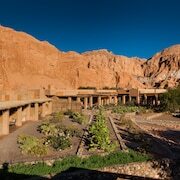 Where to stay near top San Pedro de Atacama attractions? 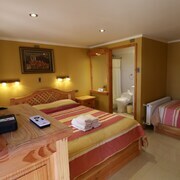 What kind of hotels are in San Pedro de Atacama? 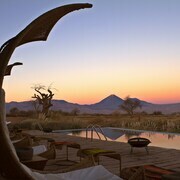 Which hotel chains are in San Pedro de Atacama? 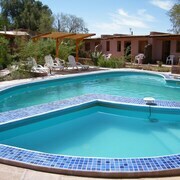 Travelers to San Pedro de Atacama give high marks for the local tours. Tourists can also enjoy the city's cafés and volcano viewpoints. 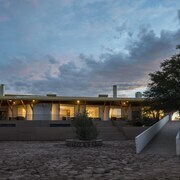 The city is notable for landmarks like Tulor Archaeological Site, Piedra del Coyote Overlook, and Pukara de Quitor Archaeological Site. The city's natural setting is picturesque, including the desert and these places to visit: Cejar Lagoon, Valle de la Luna, and Tebinquinche Lake. Taking local tours is a top activity, and Cornices Trail is one place to visit. 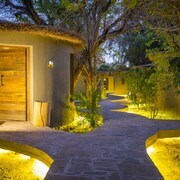 Alto Atacama Desert Lodge & Spa - With a stay at this 4-star resort, guests can enjoy access to a winery and 6 outdoor pools, along with free WiFi. 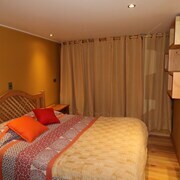 La Casa de Jose - Our customers like the helpful staff at this B&B. 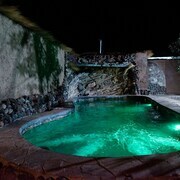 With a stay at this 3-star bed & breakfast, guests can enjoy access to free breakfast and an outdoor pool, along with free Internet. 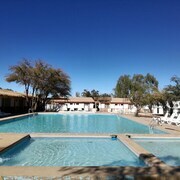 Terrantai Lodge Hotel - With a stay at this 4-star hotel, guests can enjoy access to free breakfast and an outdoor pool, along with free WiFi. Expedia customers like its pool and helpful staff. 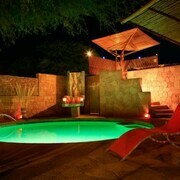 What are the most popular hotels in San Pedro de Atacama? 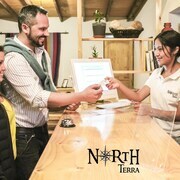 Are there hotels in cities near San Pedro de Atacama? 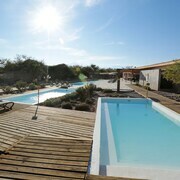 Explore San Pedro de Atacama with Expedia.com.au’s Travel Guides to find the best flights, cars, holiday packages and more!